Advisers who help clients put together a formal retirement income plan end up with more assets – and more referrals - from more satisfied customers. That was a key conclusion of a Fidelity Investments report released Tuesday, “Adapting a Practice for Retirement Income Planning,” which revealed that advisers who have built client retirement income plans have reaped a 50% increase in “very satisfied” clients. Seventy-seven percent of those “very satisfied” clients said they would be willing to move all of their assets to one adviser and 95% said they would refer a potential customer to the adviser. Of all investors who completed a retirement income plan with an adviser, 87% did or would refer someone to them. According to a company announcement, the research shows advisers not only can survive a growth of emphasis on helping clients efficiently withdraw their retirement assets over time but thrive amid this shift, as well. Broader Issues: Retirement income planning not only requires analyzing clients’ expectations and complete financial details, it demands an understanding of the key risks facing retirees, such as rising health care costs, which was the top concern of retirees and pre-retirees surveyed. 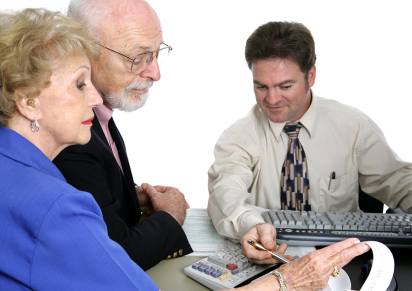 In fact, according to the Fidelity report, clients are interested in discussing more products with their advisers than they are getting the chance to: 60% of Americans between 55 and 70 indicated they would like to discuss critical illness insurance, long-term care, longevity insurance and/or reverse mortgages with their adviser. Nearly half (46%) of investors say it is “extremely or very” important for their adviser to have detailed knowledge of long-term care planning; and 39% would like to discuss health care coverage with their adviser. More Time: Building retirement income plans requires deeper, more time-intensive levels of exploration than typically required when creating income plans. Fidelity estimates that this may translate into a 20% increase in time spent per client. Nearly one in three (32%) currently pay their adviser through commission or transaction charges, but only 17% would prefer that model for retirement income planning. A majority (66%) would prefer to pay their adviser either a fee-for-service or a fee as a percentage of assets under management for such services. Further, for the retirement income plan itself, 21% of investors expect to pay $1,000 or more for the service, and 38% prefer to pay for the plan using a fee-for-service revenue model. Conducted by NFO Research on behalf of Fidelity from July 5 to July 12, 2006, the online survey included 813 investors between the ages of 55 and 70 with investable assets of $250,000 or more. The report is being made available by the three Fidelity businesses that serve advisers and brokers — Fidelity Investments Institutional Services Co. (adviser.fidelity.com), National Financial nationalfinancial.com), and Fidelity Registered Investment Adviser Group (ria.fidelity.com).